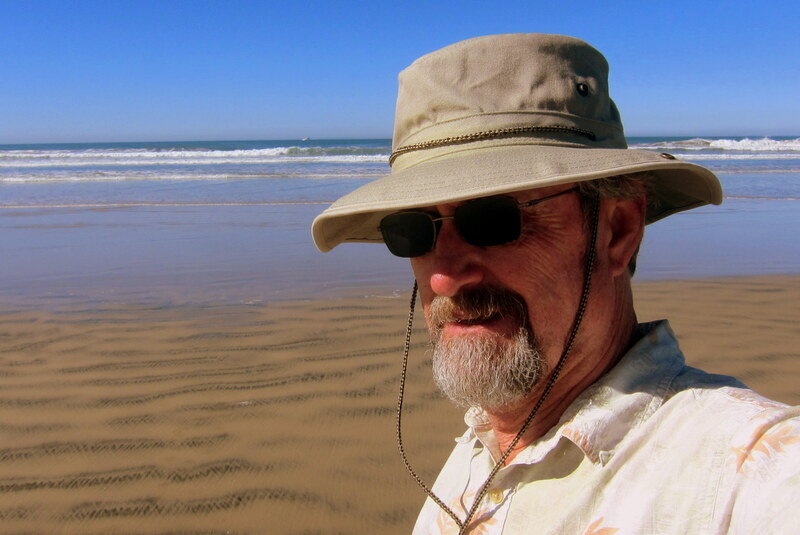 Monday, February 2, 2015: Today Kit and I will make the thirty two mile trek from Mission Valley in San Diego to the coastal town of Oceanside. 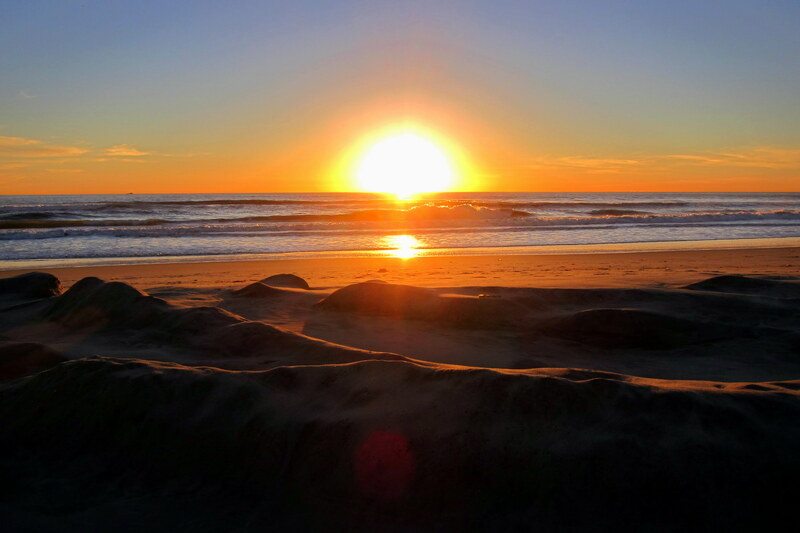 It’s also time for our oceanfront camping fix and Del Mar Beach is one of our favorite beach camping venues. After hooking up truck to camper, we delayed our departure so I could use the large and relatively empty parking lot at Admiral Baker Field to take some measurements with the rig in extreme turning maneuverers. We (I) are (am) in the market for a retractable tonneau cover to help protect the contents stored in the truck bed. The two covers I’m considering (researching) have frames that intrude into the bed area of the truck, and may present clearance issues between the trucks bed rail and the underside of campers pin box during a tight radius turn. Or, as Kit would phrase it; blah, blah, blah, blah. Glad I took the time to check, as one brand is superior in construction to the other, presents the least risk of the damage in extreme maneuvering and as a bonus, it is manufactured right here in San Diego! Kit and I got on the road at 1110 under bright sunny skies and warm temperatures. Today will mark the longest drive to date with the new fifth wheel and one that will mark its first experience on the Interstate Freeway System. I have always heard that fifth wheel trailers tow like a dream…..now I can confirm that statement. At 13,400 pounds (GVWR) I definitely knew there was a significant tow astern, however this new rig felt smoother and more stable than our previous one. Within an hour we were rolling into Oceanside and on our way to the US Marine Corps Recreation Facility, Del Mar Beach Resort and Campground. Selecting a nice spot on the quieter northern end of the park we set up for a two week stay. 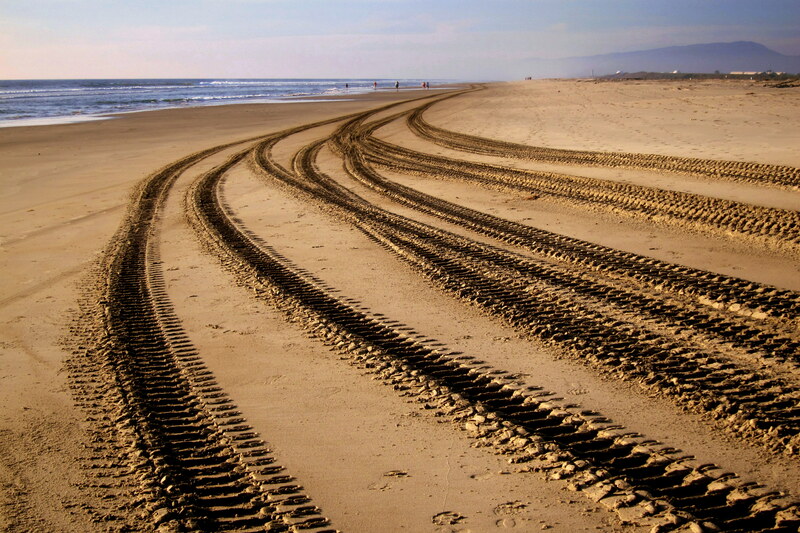 Parking our rig right on the sand is one of our favorite camping experiences in California. We love the broad sandy beach, the fragrant salt air and being lulled to asleep by the sound of waves crashing on the shore. Del Mar park features five rows of campsites. The ones closest to the water are more expensive and “weekenders” reserve these prime sites months in advance. Those of us who spend a few weeks here are effectively locked out of the prime spots…..unless you want to move every weekend. 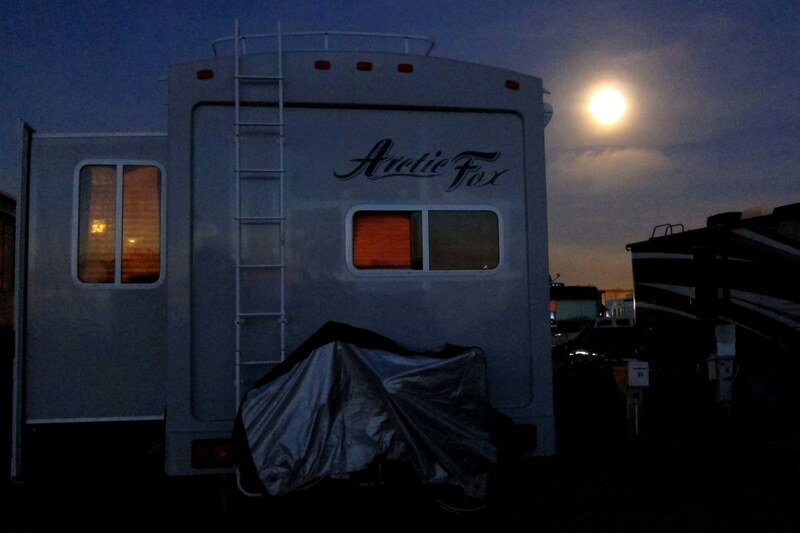 However our row two site becomes one with an ocean view come Sunday afternoon as the weekend folks clear out. We then have the view, without the extra $10.00 a day upcharge of the premium sites! A $140.00 savings over the course of our stay!! 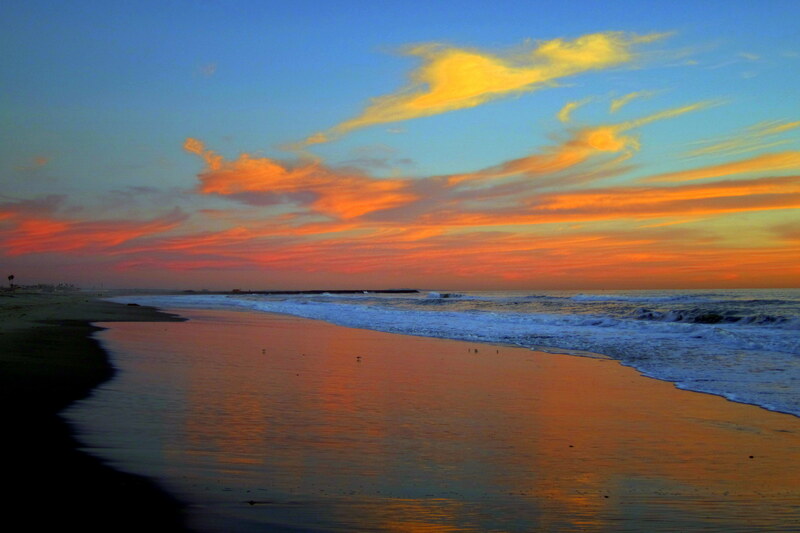 Del Mar rents beachfront cottages as well and the entire facility has undergone extensive remodeling. 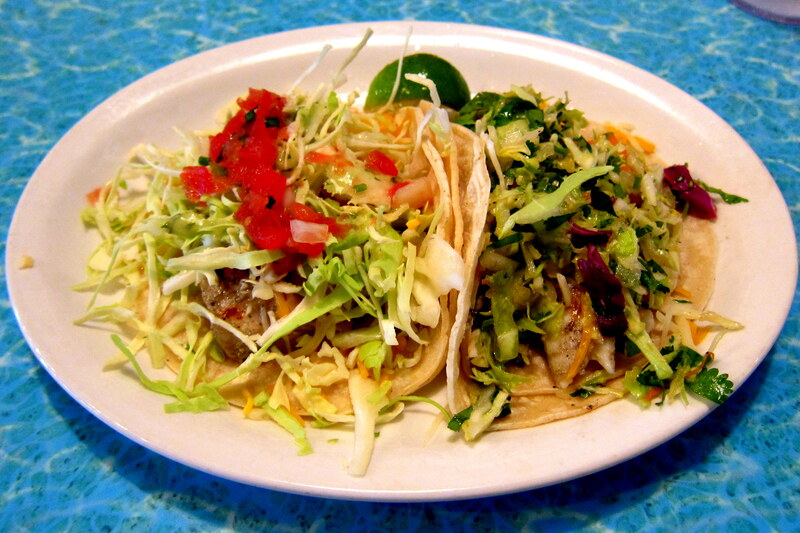 An added feature since we last visited is the Casa at Del Mar. 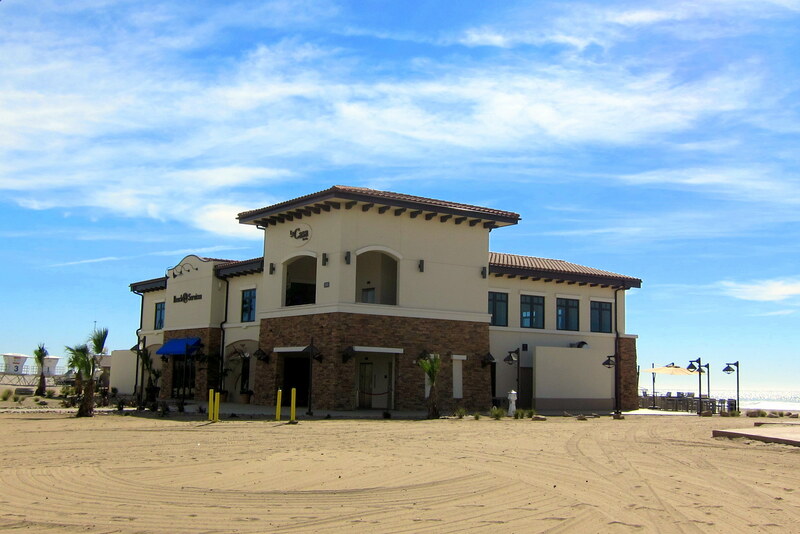 In addition to a convenience store and surfboard rental shop, there are function rooms and a great Mexican place called Ramone’s Cantina where one can enjoy frosty adult beverages out of their signature Red Solo Cups. Yea, I had the Toby Keith song swirling around in my brain as well…..sorry! We dined with old Al Fresco a few times at Ramone’s and the meals were consistently outstanding. One just had to watch out for the seagull banditos. Speaking of birds, one of these fellows would visit our camper roof most mornings. 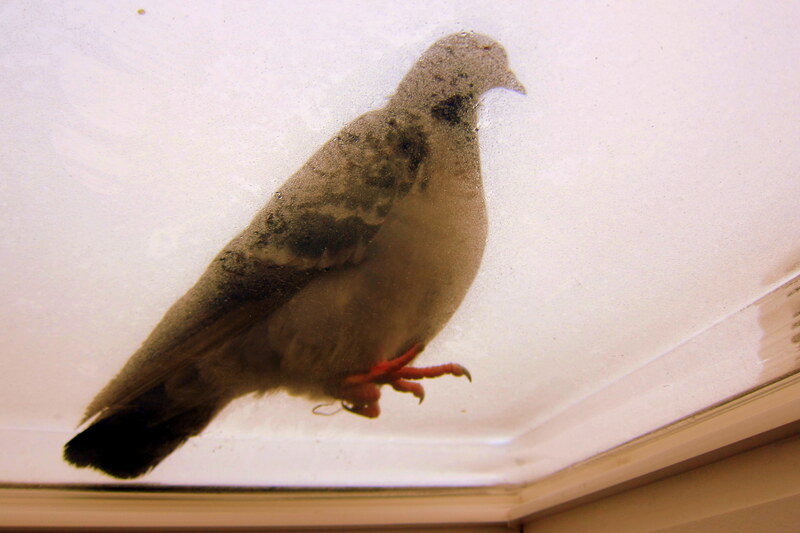 I’m sure they didn’t have a clue we were watching him through the skylight. 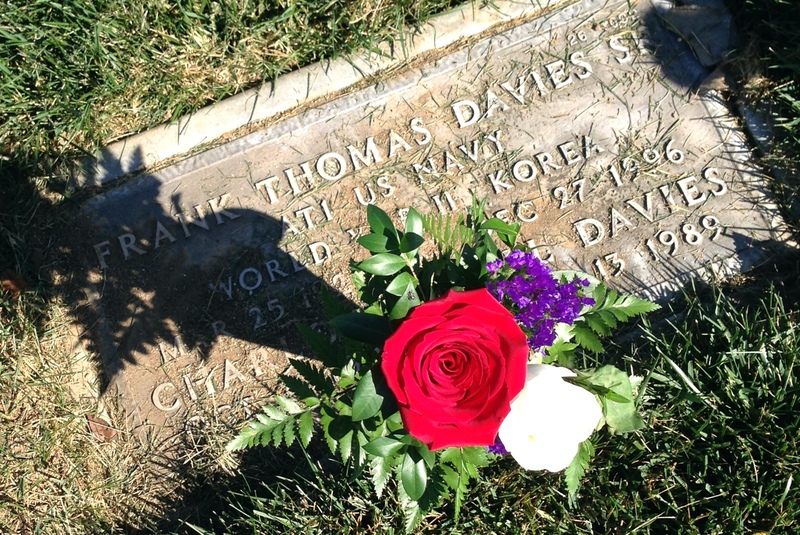 On one day during our stay, Kit and her sister Char made plans to drive up the coast and visit their parents who are interned at Riverside National Cemetery. Kit reports they had a nice time visiting the cemetery and enjoying a meal on the way back south. I took that opportunity to explore the town of Oceanside. Strolling through the weekly farmers market I was amazed at all the items for sale. 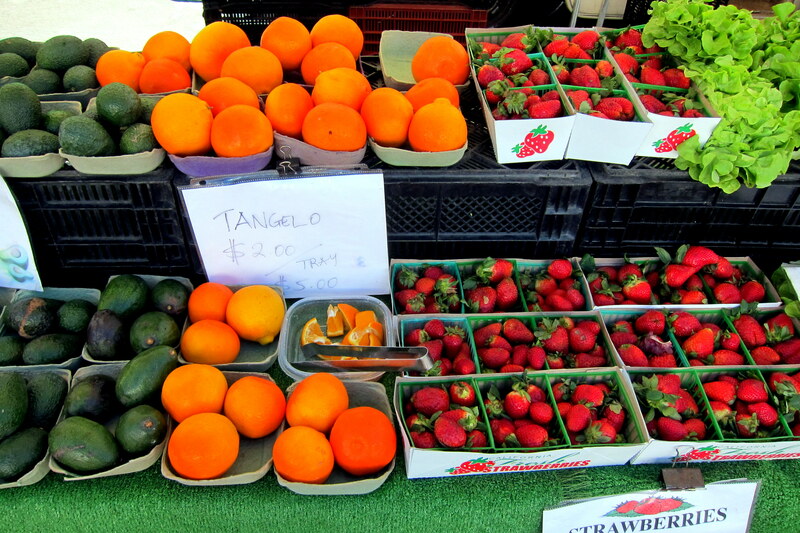 Including an incredible assortment of fresh fruits and vegetables. 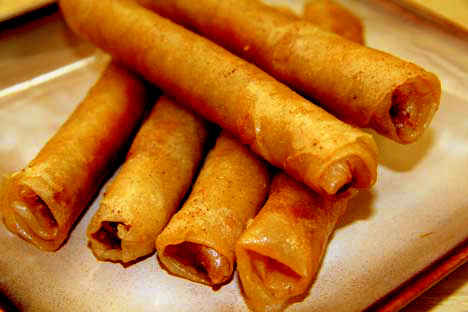 Since it was nearing lunchtime, I ordered some Lumpia from a Filipino Food Vender in attendance. It was the best I’ve enjoyed outside the Philippines…..just needed to see some Jeepney’s and swig a few bottles of San Miguel and I would have been transported back to 1969! 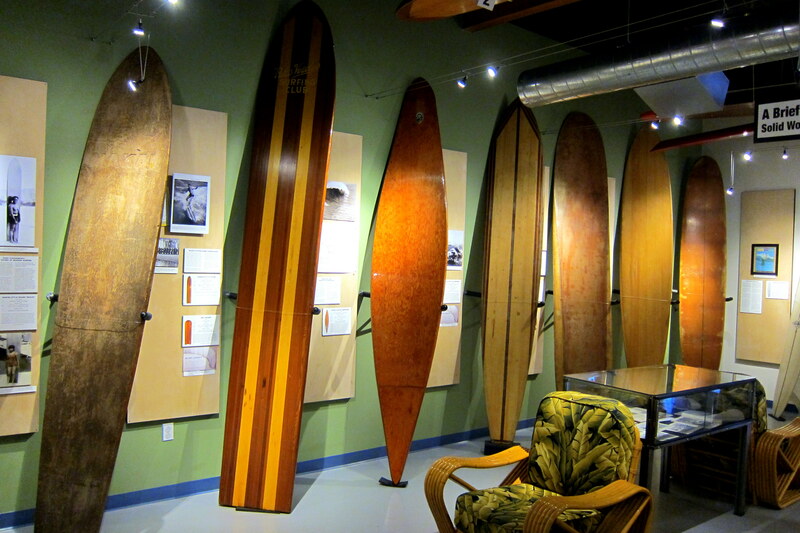 Next, I visited the California Surf Museum to see what was new since last year. There was an interesting display on the history of body-surfing and a profile of Boomer Beach in La Jolla and the infamous Wedge of Newport Beach. 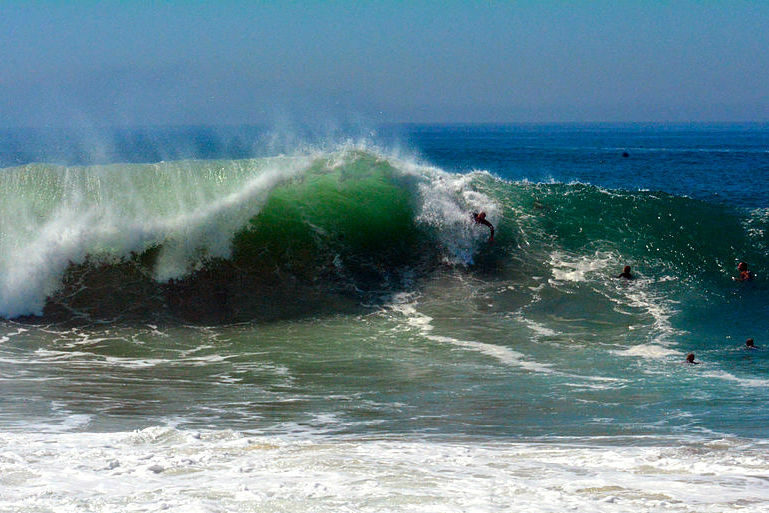 The above photo, which I grabbed off the internet, is a great example of the power contained in the shore break at The Wedge. The wave closes out in mere feet of water so quickness is needed in order to prevent auguring into the bottom. 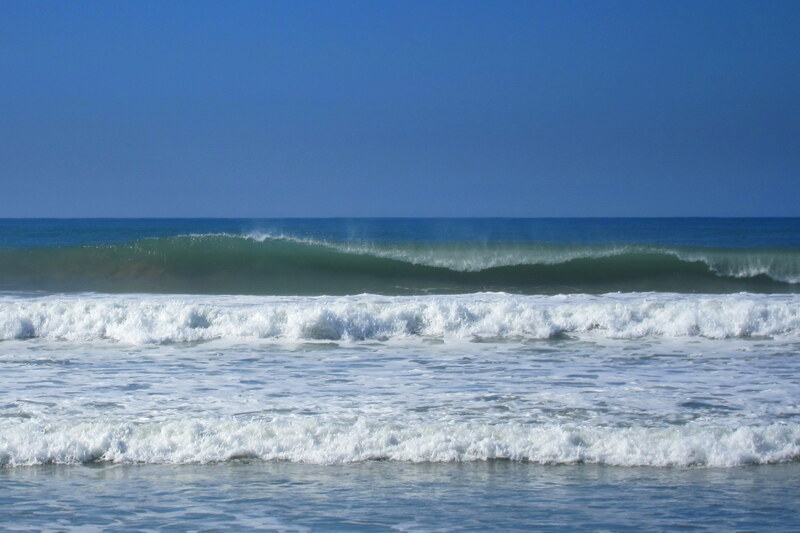 Many years ago a bunch of us drove to Newport Beach to see and try to conquer The Wedge…..we lost! 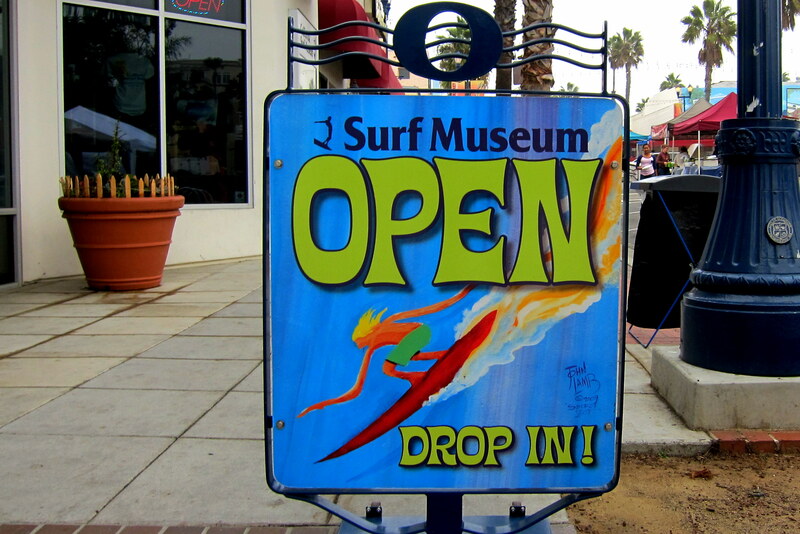 One of the permanent displays at the museum is an incredible exhibit of boards along with the history of surfing and the California beach culture. The collection took me back to the days I was a kid surfing the shore breaks of San Diego County. The third board from the left in the photo above was similar to the one I learned to surf on. It was made of plywood over a wood frame…..it also leaked! Every half hour or so, I would have to unscrew the brass plug and drain the thing. It weighed close to forty pounds dry, so with some water weight it was a bit unwieldy. 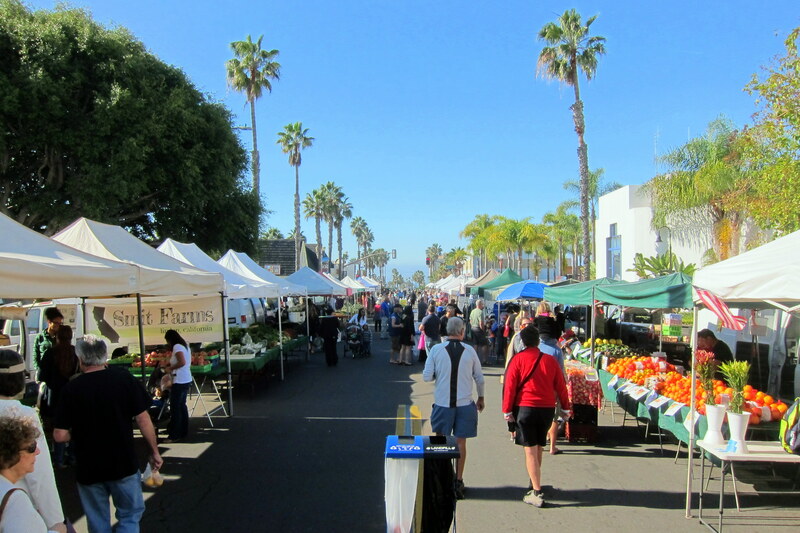 I thoroughly enjoyed walking the streets and strolling the beaches of Oceanside; the place has changed quite a bit over the years but is still a nice coastal town with a quirky vibe. 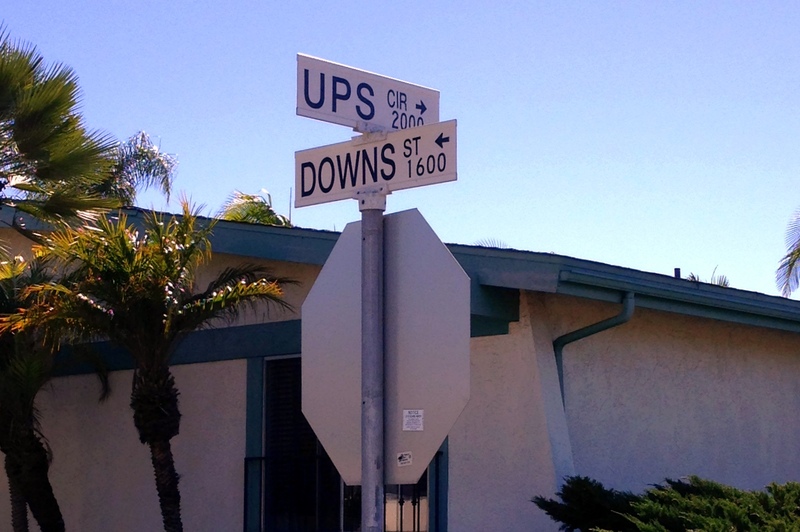 However, like most towns, it does have its ups and downs! 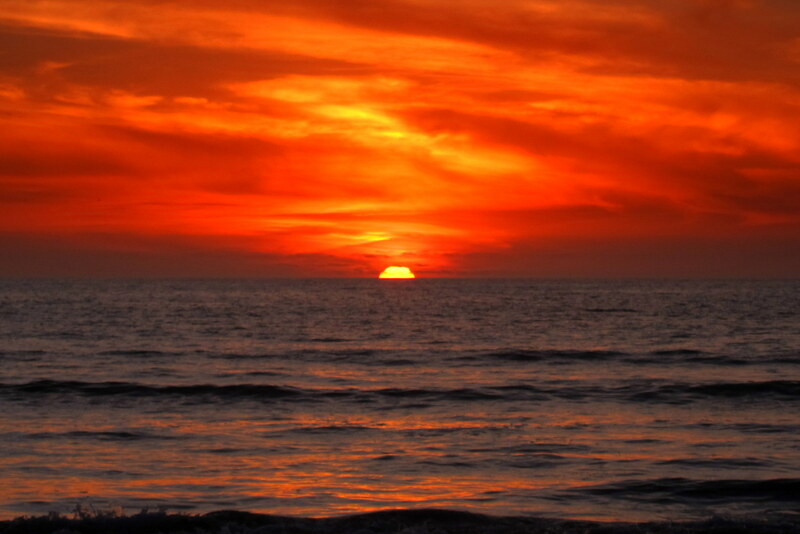 That evening, Kit and I walked along the shore of Del Mar Beach and enjoyed yet another spectacular sunset before turning in for the evening. 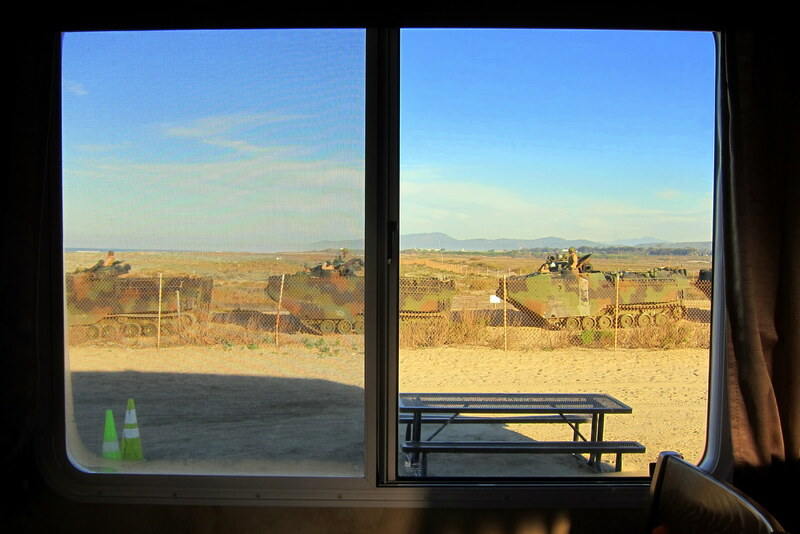 Camping on a beach that is also an active Marine Corps training facility provides loads of entertaining sights out ones camper window. Every weekday morning at O’dark thirty, as Kit and I sat in our jammies drinking coffee, the Marines were out on maneuvers. 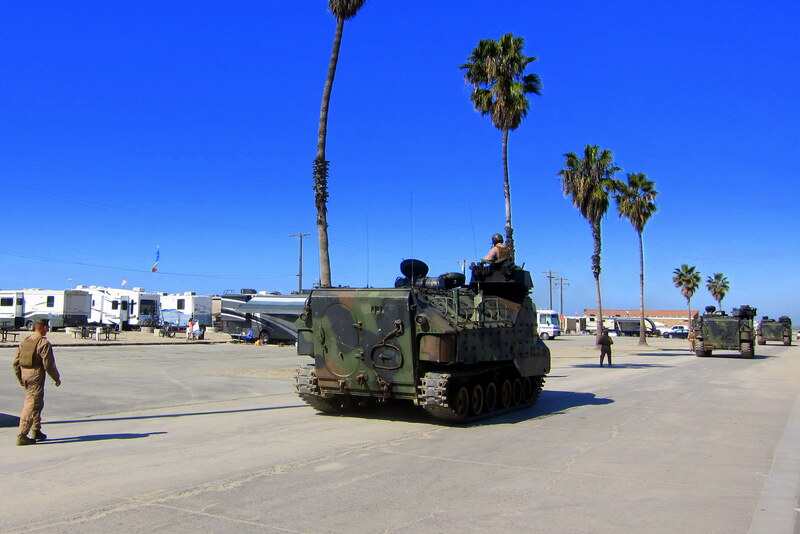 Of particular interest were the tracked vehicles called Amphibious Assault Vehicles (AAV). 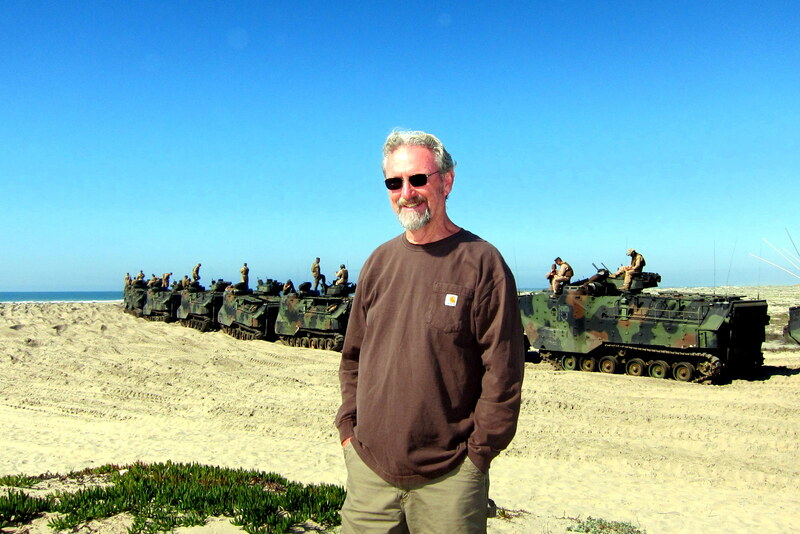 The AAV’s rumbled through the campground as they made their way down the beach…..
…..to rendezvous with the Navy Landing Craft waiting just off shore. You might wonder about the effect of salt water on all that machinery? 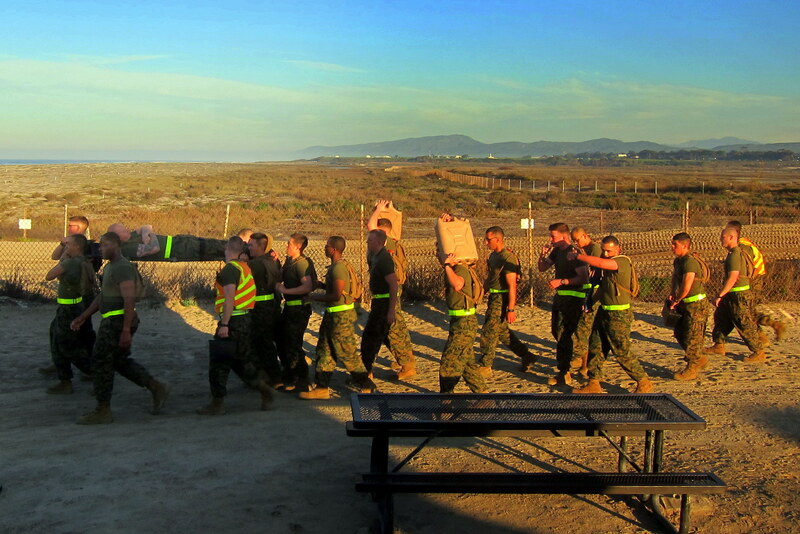 Well fear not tax paying citizens….the USMC has you covered! 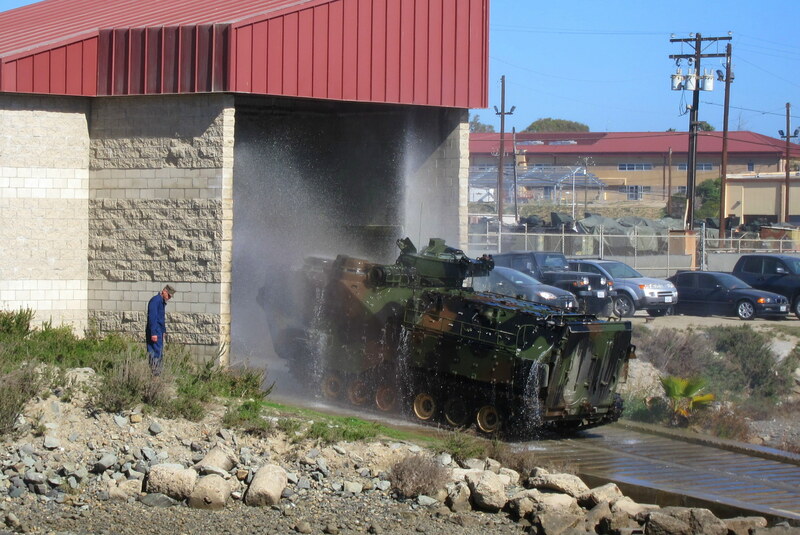 Yep, a “drive through tank wash”…..I wonder how many quarters that thing takes? This spectacle of military might brought out all the old retired guys to talk story of their own glory days…..
…..as the sun set over the blue Pacific while backlighting a UH-60 Blackhawk on its way to join the exercise. 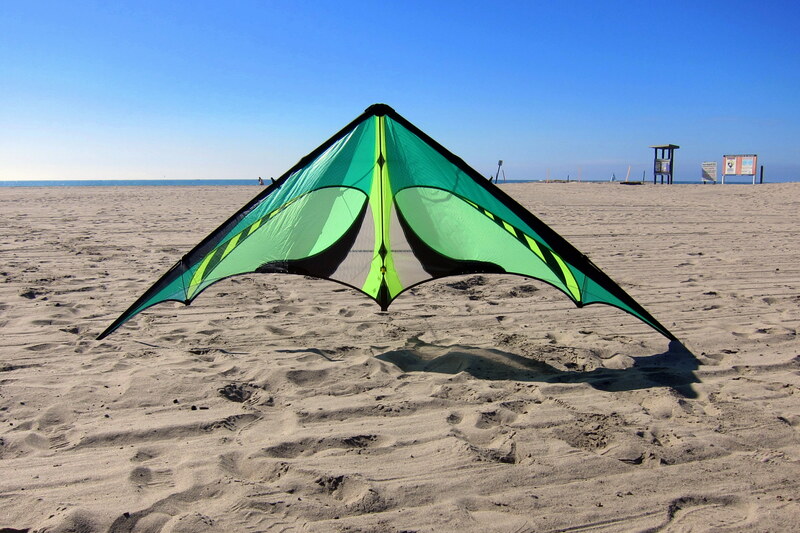 Speaking of flight, Del Mar Beach is a world class kite flying venue. The winds were perfect and the north end of the wide beach was devoid of sunbathers, or as kite flyers refer to them, “targets”. I flew kites every day we were camped on the beach and on some days I was able to work my way through the quiver of kites I now possess…..changing them out as the wind, or my mood, dictated. After an afternoon of flying, I was generally parched and wind burned so I usually sought a medicinal potion to regain some vigor and vitality. 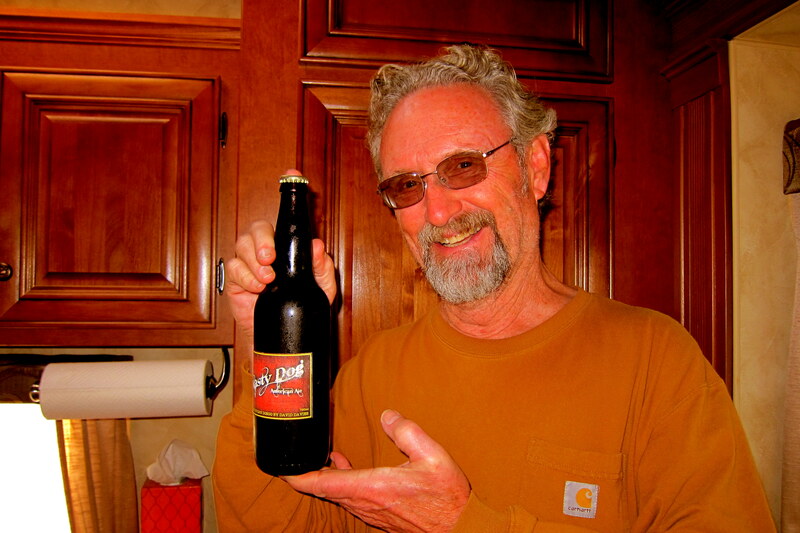 Salty Dog IPA is the signature brew of Brother Sam David…..IMO; he should change his label to “Brother Sam David’s Monastic Medicine” as it is truly a religious experience. Of his many other talents is his exquisite home brew artistry and he was kind enough to share his bounty with Kit and I! The full bodied aroma mixed with a hoppy head danced on my palate as its refreshing carbonated elixir refreshed my soul…..unfortunately it also produced a bit of flatulence. 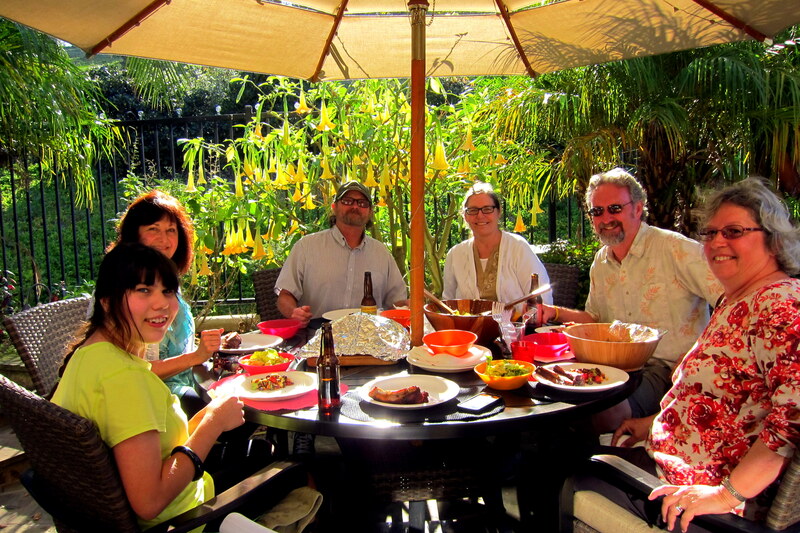 Speaking of Sam David, while in the “North County” we gathered at his Rancho Bernardo for yet another great meal…..this time it was barbeque grilled to incredible culinary perfection. 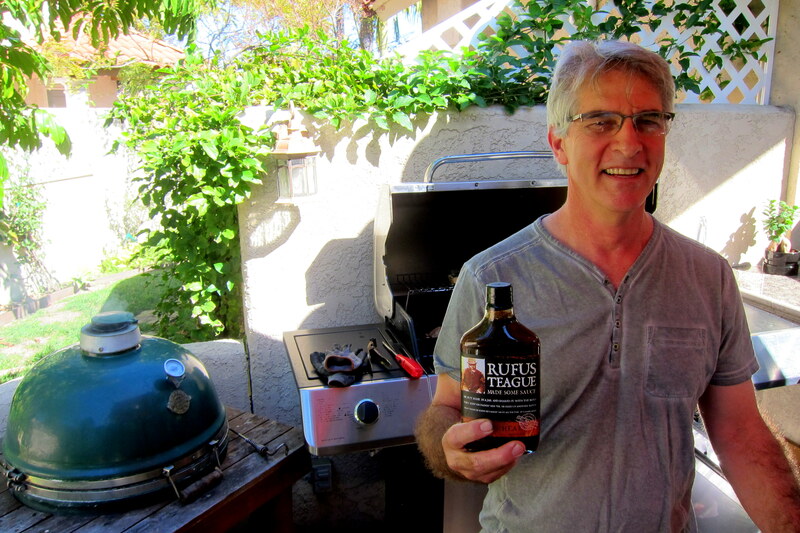 Sam David, the grill-master, did the voodoo that he do so well…..and, in the process, let the “secret ingredient” slip out. Well, that and his precise attention to temperature control utilizing the “slow and low” ethos. 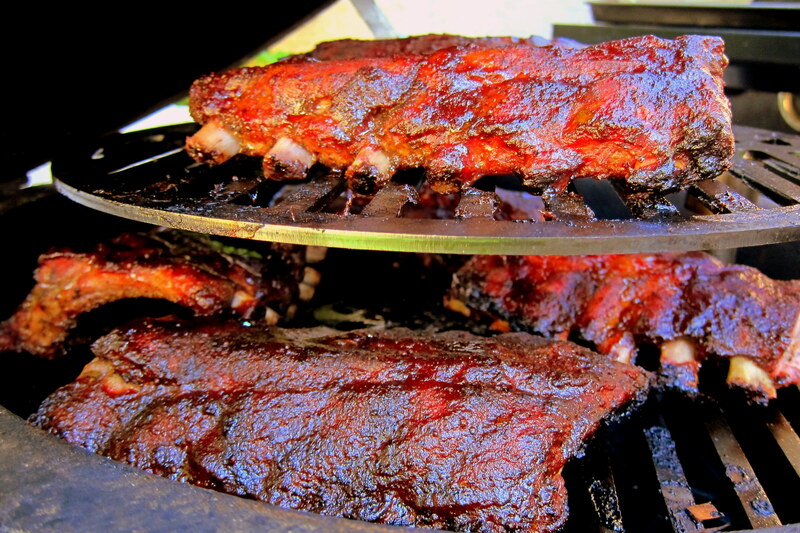 The six full rack-o-ribs slow cooked during the consumption of eight barley-pops. The guzzling of seven would have resulted in an underdone rack and nine would have resulted in overcooking as a nap would have surely been involved. However, all went well and we enjoyed a perfectly cooked meal. Thanks Sam David, Anne and Chelsea! The beaches of Southern California have embraced the sport of tow-In surfing that had been perfected on the North Shore of Hawaii. 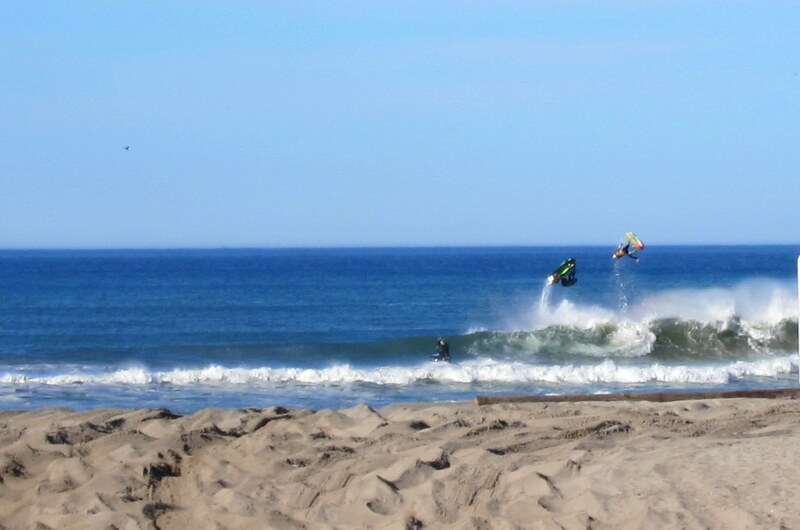 This method of dropping into a swell utilizes a personal watercraft (PWC) to tow the surfer onto a wave long before he could catch it using the traditional paddle method. To ensure the surfer doesn’t have all the fun, the PWC drivers use the face of the wave as a “launch pad” to do flip’s and other tricks on their way back out through the surf. 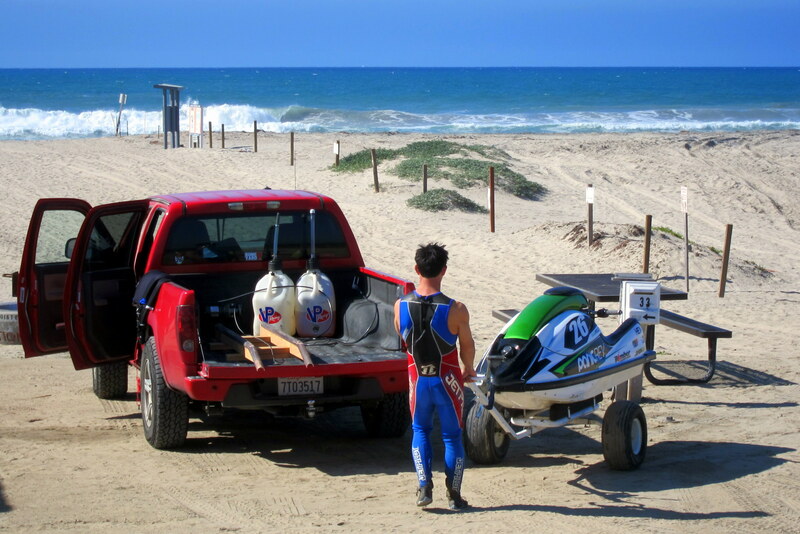 The beach in front of our camper was perfect for the launching and retrieval of the watercraft and when the break was perfect, for the sport of tow-in surfing. The whole spectacle was, well…..pretty spectacular! My, how surfing has changed since I was kid!! …accompanied by a few of my bird brained friends. 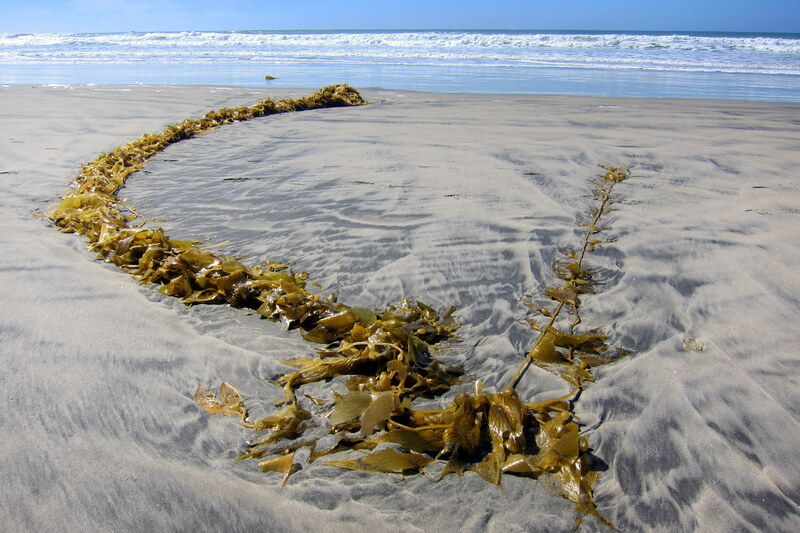 Usually I only stumble across piles of kelp, literally! But occasionally discover other treasures. Also, as a bonus, at twilight there is always another beautiful sunset to enjoy. Notice how I seem to sneak in another sunset photo…..the sad thing is that many more never hit the journal and are destined to live out their lives on a long forgotten corner of my hard drive. One of the nice things about the camping lifestyle is meeting and getting to know your neighbors. At Del Mar Beach we had the good fortune to camp next to a young family living life to the fullest by living full time in their RV. 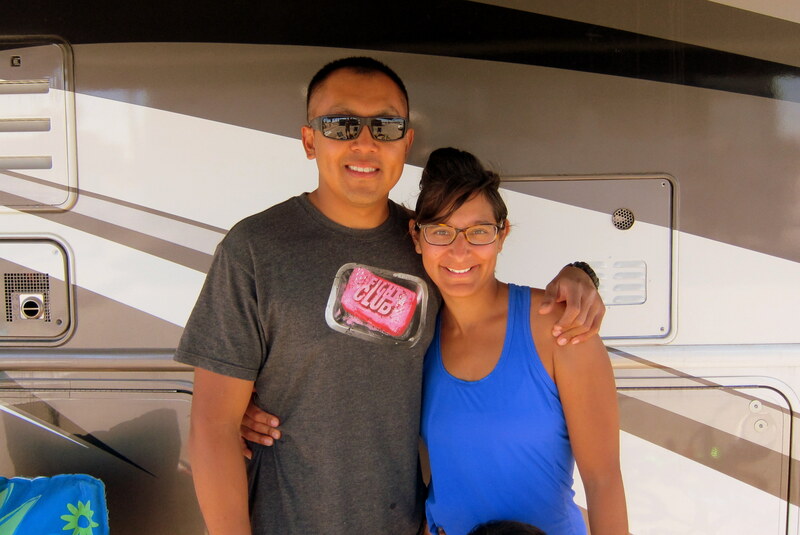 Lester and his family had recently left the Air Force and decided to travel the US in a motorhome for a spell. They are road-schooling their two children as they move about experiencing Gods creation…..a great family on a memorable adventure! Well, our time camping on the beach has come to an end…..but not before enjoying another spectacular sunset…..
…and an equally stunning moon rising in the East over our humble abode. 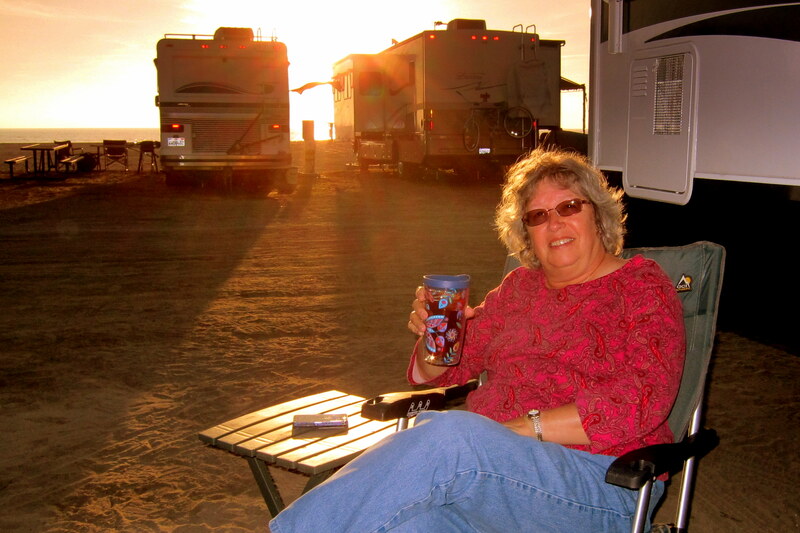 Kit’s Bit’s: We love our stays at Del Mar Beach. It (sort of) brings us back to our days at Pacific Beach when we were teenagers. It’s a bit different though, Bill used to spend the entire day out in the water surfing while I “baked” in the sun. Now, he watches the tanks, flies kites, and jaws with all the old guys. I spend my time relaxing in the shade and chatting with the other old ladies. We also enjoy our jaunts into Oceanside to run errands. I always try to eke out a couple of hours at their beautiful library, as well. 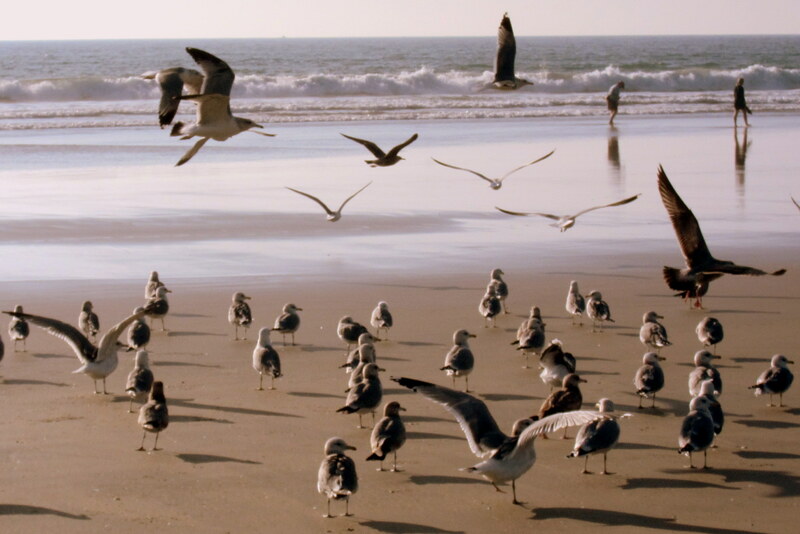 All in all, it’s always a great stay at Del Mar Beach! Thank you for the nice comment, hope you folks are well. Looking forward to seeing you at a dance soon! Sure beats snow and -15 degrees in early AM. Today heat wave 30 degrees..snow tomorrow. Keep the faith…..summer is near! Hello to our dear friends! Sure enjoyed our time with you two here at Winterhaven/Yuma…Just not enough time to say everything we wanted to say! Hope you got the address and phone number I just sent as you were leaving…Loved your photos of some incredible sunsets…and ocean waves! 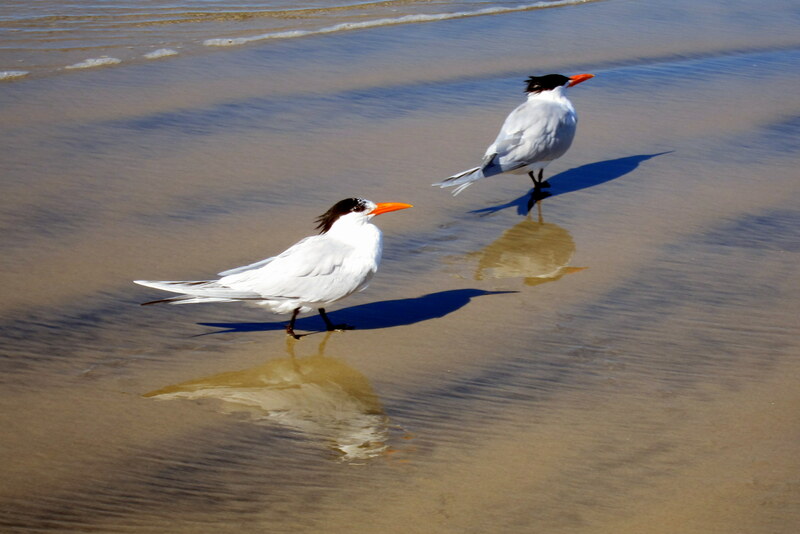 Padre Island has some good beaches, too! 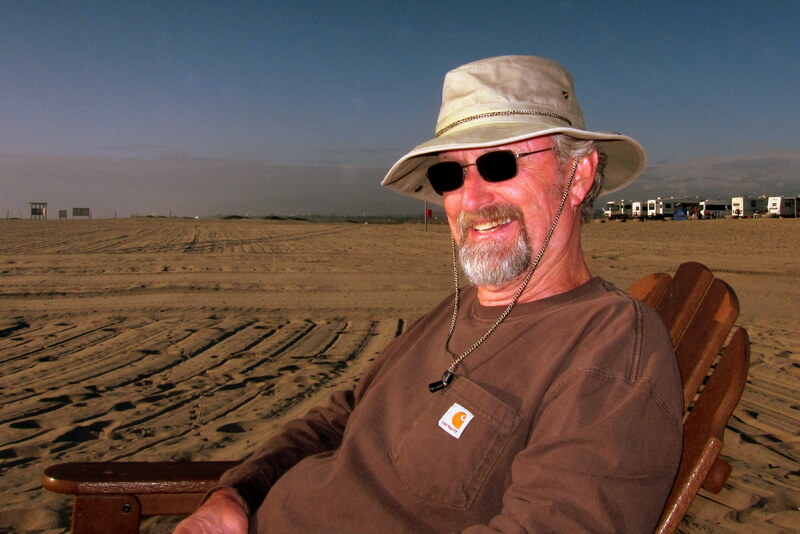 heading for Texas March 12….Travel safe…and enjoy the new truck and 5th wheel…you have earned it, Kit! Oh, and you too, Bill! Enjoyed visiting with you folks as well, and yes we did receive the contact information. Hope you are having a blast in Texas. If Kit and I get anywhere near Bend, Oregon we will surely look you folks up. WE’RE SITTING HERE ENJOYING THE SOUND OF WATER DRIPPING INTO A PAN IN THE LIVING ROOM DUE TO A SERIOUS ICE DAM ON THE ROOF. NOT QUITE LIKE LISTENING TO THE SURF CRASHING ONTO THE BEACH. LOL ADJUSTER DUE HERE THURSDAY. 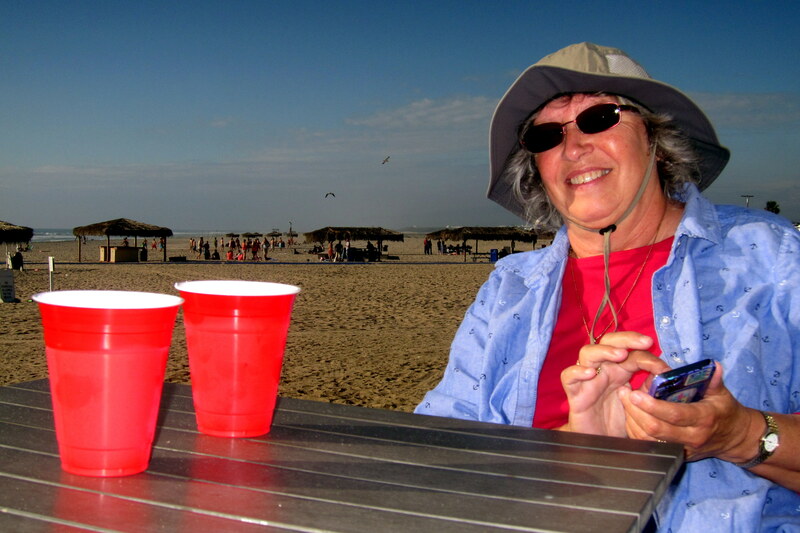 HEARD FROM NAN AND WINDY TODAY, THEY ARE ENJOYING JUST THE THIRD DAY OF SUN SINCE THEY LEFT MAINE. UGH!! BEAUTIFUL DAY HERE, BUT SNOW 2/4 INCHES DUE THIS EVENING. GLAD YOUR NEW RIG IS PROVING TO BE A GREAT INVESTMENT, SURE LOOKS SPIFFY. Hope this wicked winter has moderated some and the snow is beginning to melt. 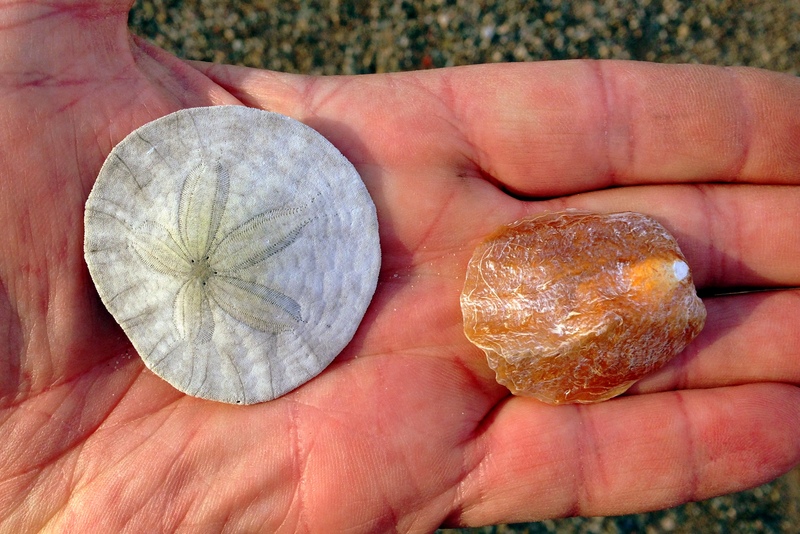 Spring can’t be far away…..you Mainers that wintered over deserve a great summer! Hi, Diane, our daughter and children, were living on the base while her husband was away on duty. I went to visit. I have seen the beautiful beach plus one weekend we rented a house right on the edge of the sand. Got caught in a small rip tide which spun me around and spit me out minus a shoe which came into shore a few minutes later. Great sunsets lovely weather. Living the good life. Good for you. Maine is having the worst winter imagine able. Make sure your roofs are raked. Happy Trails. 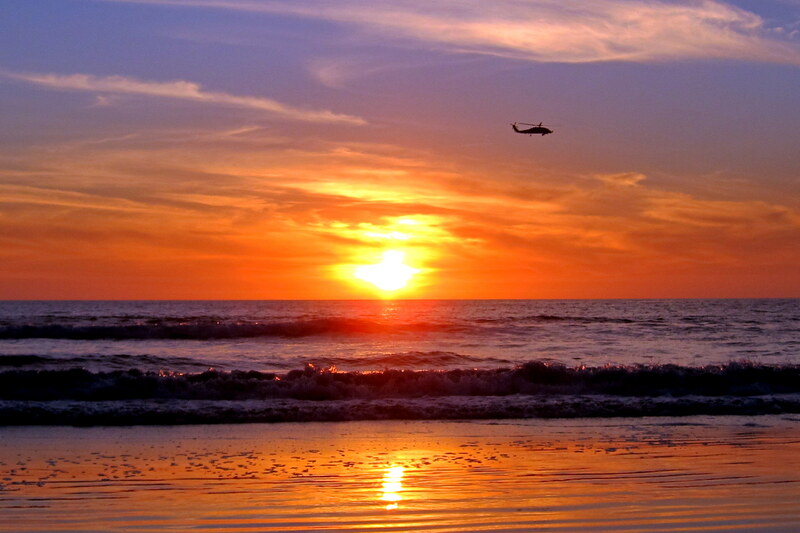 Thanks for sharing your experiences at Del Mar Beach…..it truly is a magical place! And big Yellow Rocks to you kind folks as well! Thanks for the news from home. We truly do love the nomadic lifestyle but miss all our friends back in Maine. I do so envy your travels, and the style with which you make those travels! Look forward to,the journals! Thanks, and thanks again for being so thoughtful to leave flowers at my mothers gravesite. So enjoy your posts. You both always seem so completely contented. Hope you can continue this lifestyle for a long time, and that we can continue to enjoy it through your eyes. ❤ you guys! See you soon. Thanks, we are having a blast and hope to continue our vagabond ways for many years to come!